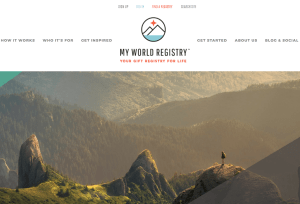 Have You Heard of “My World Registry?” You Will! Home/Project/Have You Heard of “My World Registry?” You Will! My World Registry brings Grateful Getters and Graceful Gifters together in one place to make dreams of meaningful, enriching experiences a reality. It’s a Gift-Experience exchange hub for anyone celebrating a life event, or just celebrating Life. If “Go Fund Me” had a fairy-godmother, THIS would be her unicorn! We hope to do more collaboration with this fantastic group of people.